With Michael close at my side I want to today talk about the energies and events that are now taking place around the world. A large paradigm shift is under way and after the end of the year we will have taken a step up in frequency, consciousness and will proceed naturally into the next phase of the ascension. However, this means that there is a great deal of chaos that now is taking place around the world. It is the “last supper”, the last cleansing and your egos are now pushed to their absolute limit. Those who choose to hold on to their egos will remain at a lower consciousness and the same fears will continue to face them until they are ready to let go and heal. The “spiritual leaders” who still have much work left to do with themselves will become extra challenged now as they are the front figures of humanity and must pass the test of holding the light under all circumstances. Those who have gotten stuck in the spiritual ego’s manipulative, subtle hold and the identification with being a spiritual guide can no longer hide themselves and their egos will become more visible to themselves and the rest of humanity. Either they will capitulate to the light and their unconsciousness or they will remain stuck in a state of lower consciousness until they are ready to let go. A large shift is under way and a new group of spiritual guides will in a natural way pop up here and there as they have become more ready to complete there work on Earth. And by the fall of next year a new powerful energy will be in place as a guide on Earth. However, there is chaos and many energies are swirling around now when many of these powerful spiritual leaders are challenged. 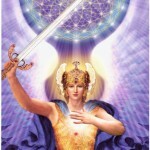 We ask you to remain extra strong, centered and conscious. It is of utmost importance that you hold the light at the highest possible frequency and stand steady as unyielding pillars of light, completely unaffected by these energies. 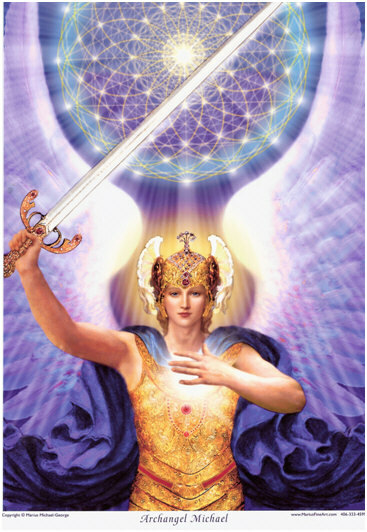 I, Archangel Michael, am here to assist you and you just need to call on me and I will be at your side with love, protection and guidance.